The breath analysis that may be conducted with a portable unit kept in the patrol car or at a stationery unit in the police station is not necessarily a reliable indicator of blood alcohol content (BAC). In fact the breath analysis is only an indirect estimate of BAC. Because it is an indirect estimate, the breath-analyzing device must be precisely calibrated, and many factors can impact the accuracy of test results. Even the operating software can have an impact on results. Like all software, it may be subject to bugs and glitches. 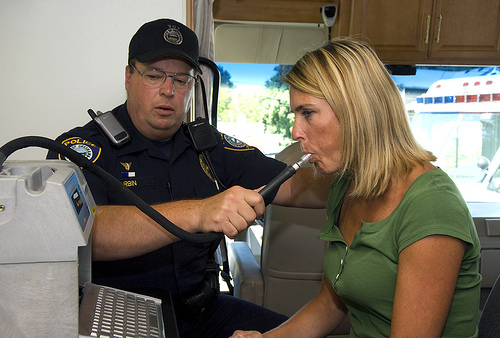 Different types of breathalyzers operate differently. Fuel cell sensor breath analyzers are known to be more accurate than the cheaper semi-conductor devices. Breath analysis devices are impacted by ambient temperature, but also to the subject’s body temperature. Dental issues may also impact results of the breath analysis. If you wear dentures, have cavities or other dental procedures, these may produce false positive readings. Mouthwashes and breath fresheners also impact the readings. Dieting can produce false positive readings. Blood or vomit in the subject’s mouth will affect the test results. Smoking may also affect the results. Even interference from police radios or cell phones may cause elevated test readings. How you blow into the device will also affect the results. If you take a very deep breath and blow hard into the machine, the chances that you will have a high BAC reading are greater. That is because you are drawing breath from the lower regions of your lungs that is likely to have more alcohol molecules than the whole lung. Even your gender can impact the results of the breath tests. Alcohol is water soluble and women generally have lower water content in their bodies than men. This means they will reach a higher BAC level even with all other factors being the same. If you have recently been around paint fumes, varnish, acetone (fingernail polish remover), or other chemicals, plastics or adhesives, this will have an impact on breathalyzer results. In addition to all of these factors, there is the human error factor that can impact the results of the test. If you’ve been arrested as the result of breathalyzer sobriety test, don’t allow the deck to continue to be stacked against you. You need the representation of a skilled attorney who can help you navigate the treacherous legal landscape. The Maher Law Firm can help make sure that your rights are protected. Founding attorney, Colin Maher is a National Highway Traffic Safety Administration (NHTSA) certified practitioner for field sobriety testing, which is the same training police officers take. This training helps him evaluate and challenge the evidence collection process. Call The Maher Law Firm today for a free consultation at 614-205-2208 or contact us online.